Amazing photographic exhibition by the people of Coen in Cape York, far North Queensland, Australia. 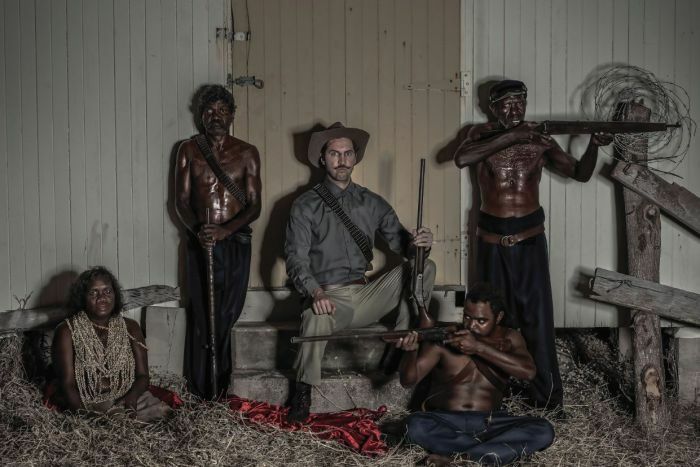 Photographer Greg Semu, and Kaantju traditional owner Naomi Hobson set out to explore their history by recreating brutal archival images. But in Semu’s images the script has been flipped — often the victims pose as abusers. And the entire Indigenous community of Coen was involved in the recreations. Hobson explains that on the completion of the project, community members created a dance in respect for the work. “Now in discussions around the table they feel like they can talk freely about our history.